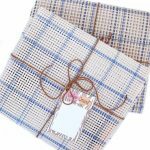 The new Vintage Weave fabric strips in spring colors came in and they just made me smile. The colors are gorgeous. They remind me of spring, so fresh and vintage-y in a cool retro kind of way. I just had to create something. Problem was I didn’t have that much time–mostly because I’m late in finishing up a design I’ve been working on for months. So I looked around, and finally decided a small locker hooked basket would be the perfect idea. I used the free Trinkets Basket pattern and it took about 3 hours if I don’t count the break time. It was so rewarding to finish. 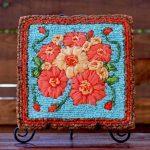 I love the way it turned out–mostly because of the colors and texture in this fabric, and because it was a fast project. I’m keeping it on my desk. 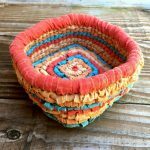 Liked it so much, I decided to update the pattern for these colors and also make a Spring Trinkets Basket kit available. 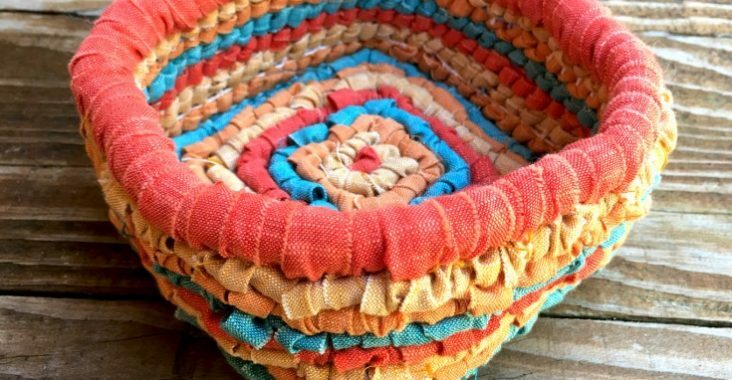 You can use the Vintage Weave fabric strips for this basket design, or you can combine materials and include yarn and ribbon for a super textured look. The pattern can be downloaded for free. You can also choose to donate. If you’ve never locker hooked or assembled pieces together, be sure to watch the videos on Color Crazy. Once you get the hang of it, it’s pretty easy to do. 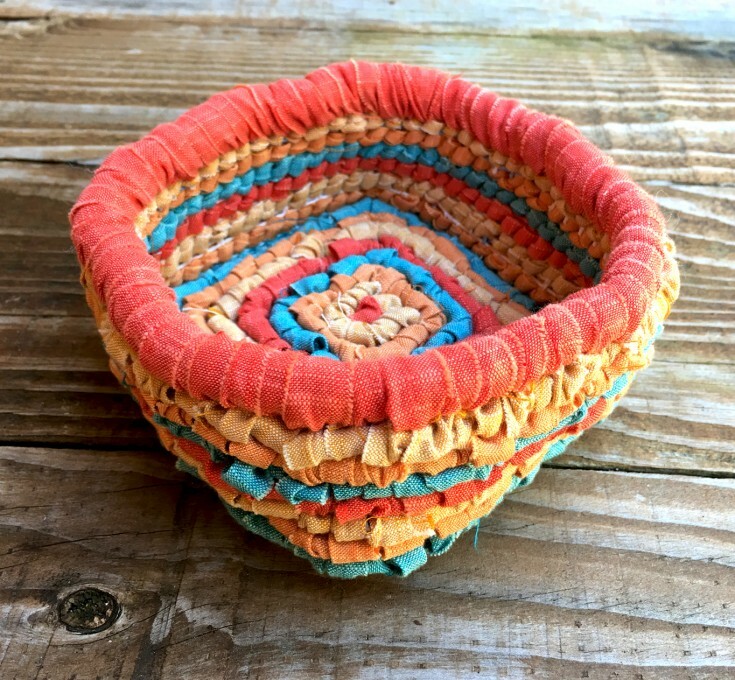 Now back to that design I need to finish…The Spring Trinkets Basket Kit is available for $16.00. 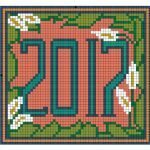 It’s 5 1/2″ square and makes for a great gift.